We are always looking for volunteers! We have administration, classroom, community outreach, atelierista (documentarian), and research positions available. If you are interested in volunteering at the UT Lab School, please email a letter of interest, resume, and the day(s) and hours you’re available to ppfcfl@utlists.utexas.edu. Learn best practices in business and administration for child care centers and early childhood education programs. Become familiar with licensing and accreditation standards. Assist with office tasks (e.g., enrollment, fee collection, record and database management, researcher and student support, special projects). Apply knowledge of child development to support teachers and families. Help us address individual family and child needs. Work collaboratively with UT Lab School faculty and staff to fulfill the mission and goals of our program. Apply best practices in business and administration for quality child care centers and early childhood education programs. 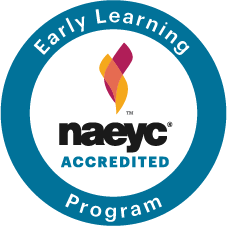 Understand what it takes to run a TXDFPS licensed child care center and NAEYC accredited program. Develop communication skills working with families and children. Apply professionalism, especially when dealing with confidential files. Participate in daily classroom routines and responsibilities. Help create developmentally appropriate learning environments and implement a play-based, emergent curriculum. Scaffold children’s engagement with materials to facilitate their learning. Model and encourage pro-social behaviors. Bridge social interactions between children. Conduct on-going, authentic assessments (portfolio-based) of children’s development. Become familiar with licensing and accreditation standards. Learn best practices in child development, early childhood education and positive guidance. Help us address individual family and child needs. Analyze qualitative data from observations in the classroom to create developmentally appropriate learning environments for the assigned age-group. Implement a play-based, emergent curriculum for the assigned age-group. Conduct on-going, authentic assessments of children’s development. Leave with hands-on experience and knowledge for best practices in early childhood and positive guidance for the assigned age-group. 1 or more days, Monday through Thursday, from 1:00 pm to 5:00 pm. Help market the program in diverse areas around Austin and recruit new families to our waiting list. Work with UT Lab School administrative staff to develop and implement plans for development, communications, and outreach, including our annual fund and endowment campaign. This can include assisting with web site updates, creating flyers and outreach material, media relations, table events representing the UT Lab School, and more. Engage with community partners (local ISDs and programs). Research and participate in community events to market our program to diversify waiting list. Gain insight into the world of development for an academic, early childhood program–a very specific niche. Learn basic web development and social media skills when working with team to update website and promote events as needed. Strengthen interpersonal skills as you are networking and making connections in the field. Help with data collection, entry, and management. Learn protocols for selected measures (qualitative and quantitative) and work directly with children and families to collect data. Collaborate with others to enter and manage data in a large database. Learn how to run and understand descriptive statistics. Distribute consent forms to eligible families, encourage participation, introduce children to researchers, get children’s assent, and usher children back-and-forth between research activities and classrooms. Prepare, maintain, and update website materials in relation to current and past research projects. Assist with tasks to support research as required. Gain experience with data collection, entry, and management. Conduct interviews and follow research protocols to collect data directly from children and families using established measures. Learn ethical research practices and work with researchers according to University guidelines. Conduct research within a child care setting, taking into consideration TXDFPS rules and NAEYC Accreditation standards. Learn basic web development skills to update website as needed.